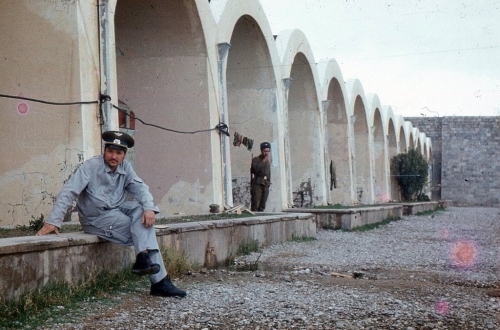 Soviet 115th Guard Fighter Air Regiment’s life at Kandahar airport, Afghanistan in 1980. 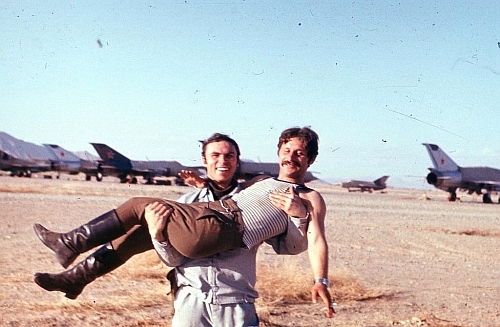 On February 23, 1980, the second squadron of the Soviet 115th Guard Fighter Air Regiment was also moved to Afghanistan. The second fighter air squadron was replaced by the first squadron. 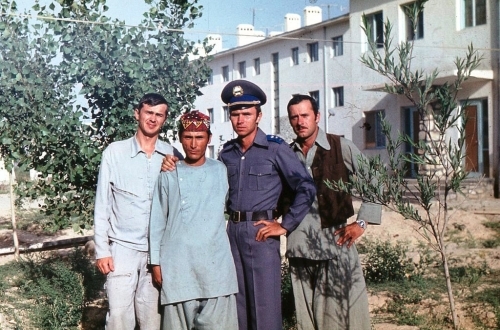 The first squadron went home to the Soviet Union, the second squadron relocated to the Afghan Kandahar airport. 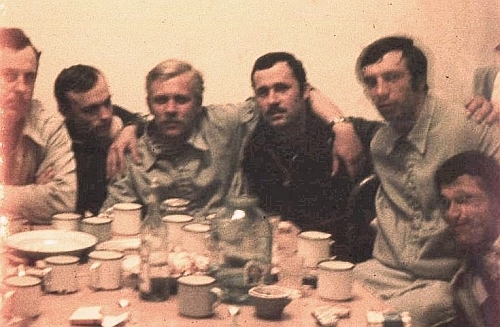 Soviet 115th Guard Fighter Air Regiment's crews at Kandahar, Afganistan in February 1980. 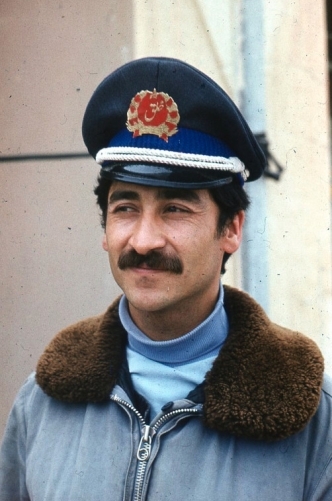 Afghan pilot of the 366th Fighter Air Regiment at Kandahar, Afghanistan in 1980. The Afghan 366th regiment used old MiG-17 Fresco and MiG-15UTI Midget fighter types this time. 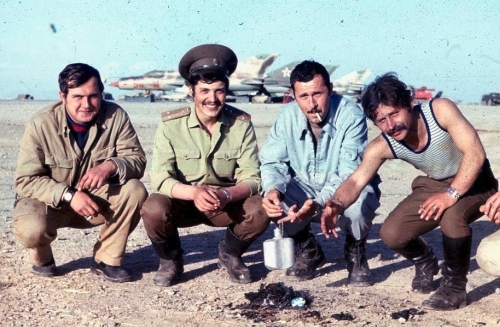 Soviet 115th regiment’s crews in front of their MiG-21bis Fishbed-L fighters at Kandahar airfield, Afghanistan in 1980. In Kandahar, the 115th regiment's squadron (MiG-21bis) fought together with a squadron of the Soviet 136th regiment (MiG-21PFM then MiG-21SM) and the Afghan 366th Fighter Air Regiment (MiG-17 Fresco). 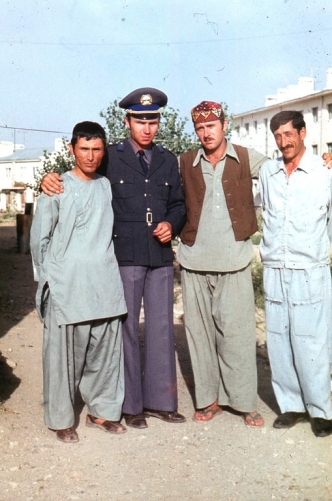 The second squadron of the 115th Guard Fighter Air Regiment fought from Kandahar in between February 1980 and May 1981. 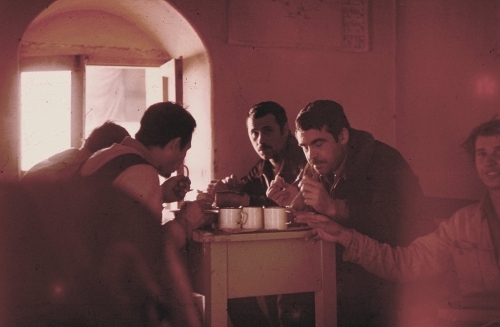 The squadron lost two MiG-21bis Fishbed-L fighter aircraft and one pilot in 1980. November 12, 1980, the MiG-21bis plane crashed. The chief of staff of the squadron of the 115th Guard Regiment, A. 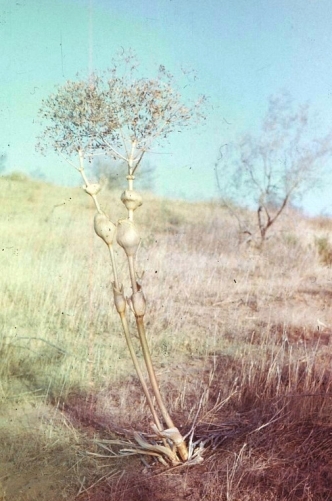 A. Prokazin, catapulted into the district of the settlement of Faizabad and was picked up by the helicopters. The 115th regiment was replaced by the Soviet 27th Fighter Air Regiment from Central Asian Military District in May 1981.